Now under construction, a 22-story 304-room full-service Marriott hotel will feature 9,000 square feet of event space and a 10,000-square-foot ballroom directly connected to the Tacoma Convention Center. Yareton Investment can now advance the hotel component of its broader mixed-use project. 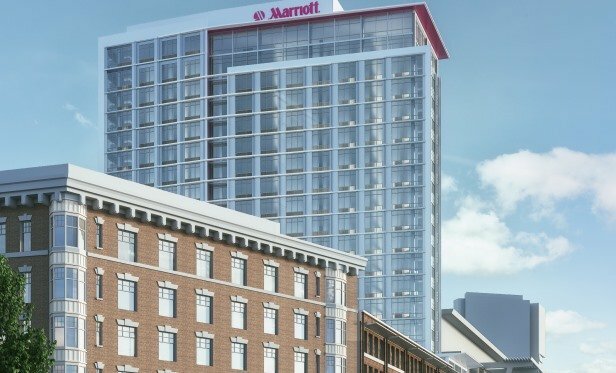 TACOMA, WA—A 22-story 304-room full-service Marriott hotel, now 30% complete, will feature 9,000 square feet of event space and a 10,000-square-foot ballroom. Furthermore, it will benefit from being directly connected to the Greater Tacoma Convention Center, one of the largest meeting locations in the Pacific Northwest.